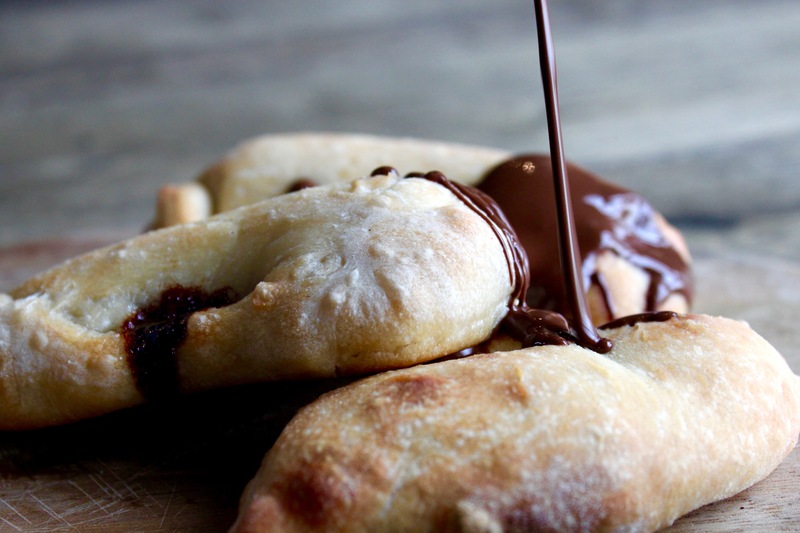 Once your oven has cooled after a pizza party, and you’ve got some dough left, these yummy Nutella Calzones are what to make! Always a crowd pleaser and great to make with kids! For this recipe you will need to be using the residual heat in your wood fired oven, with the temperature sitting at around 210°c. Take your leftover pizza dough and using around 100g per calzone, open roughly with your hands-it doesn’t need to be as thin as your pizzas, just a basic circle shape will do! 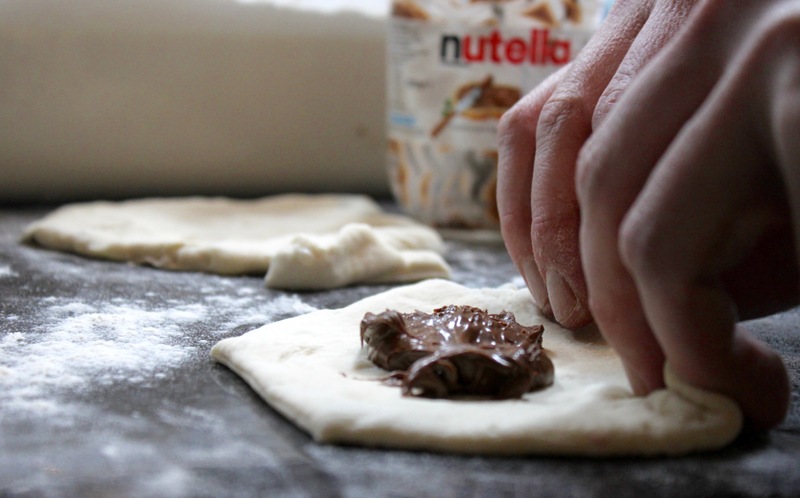 Leaving a 1-2cm edge uncovered, spoon a couple of heaped tea spoons of Nutella (and banana if you fancy it!) into the centre of the dough and roll the edge over to form a pasty shape. Use your fingers to crimp the edges together before baking directly on the oven floor for around 5 minutes with the door on. NOTE: these can also be cooked in a hot oven if your guests are too impatient to wait for it to cool down! Just put them as far away from the fire as possible and turn regularly!